Pip Wilson bhp: One of a growing number of schools that have adopted "restorative justice - twice a week talking together about feelings. One of a growing number of schools that have adopted "restorative justice - twice a week talking together about feelings. dropped from 94 last school year to 47. 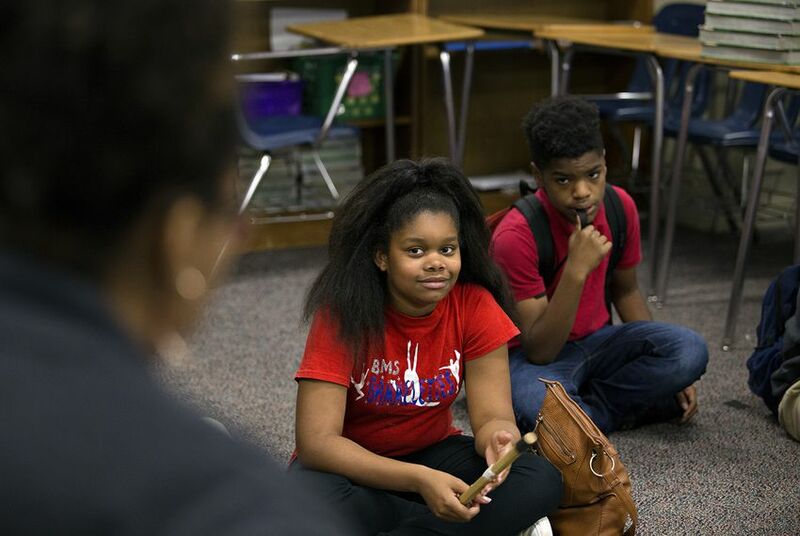 Principal La'Quesha Grigsby attributes the improvement to a simple schedule change at the beginning of this academic year: a carve-out of 35 minutes twice a week for teachers and students to circle up and talk about their feelings. 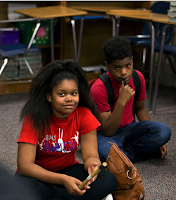 Bammel Middle School is one of a growing number of Texas schools that have adopted "restorative justice,"
which encourages students and teachers to talk through their problems and build stronger relationships in order to prevent conflict and violence before it happens. "Sometimes those behaviors we see as discipline problems really are because the student is struggling with their academics,"
"We're in a situation where we have to do something drastic ... because what we've been doing is not working."